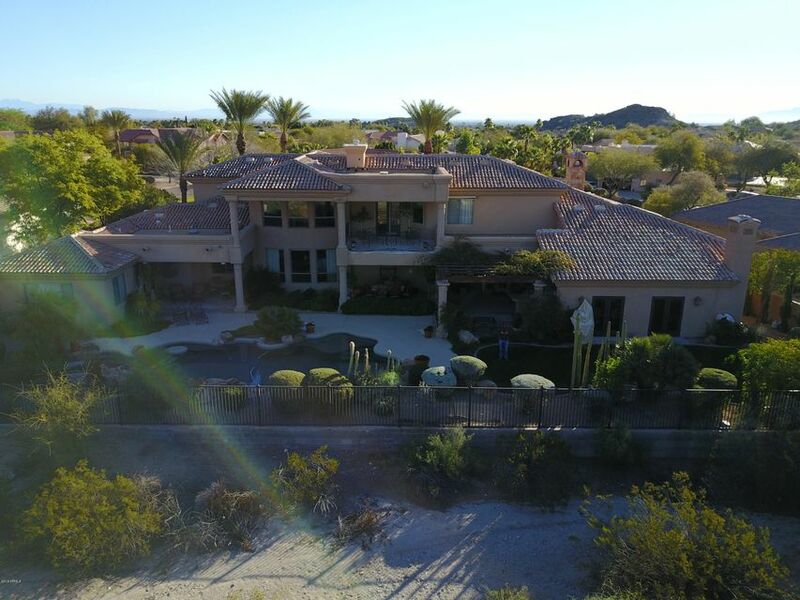 All AHWATUKEE CUSTOM EST homes currently listed for sale in Phoenix as of 04/19/2019 are shown below. You can change the search criteria at any time by pressing the 'Change Search' button below. "This two story Tuscan home was built in 1999-2000 and architecturally redesigned and renovated in 2008. It boasts over 6800 square feet with numerous covered patio vignettes with fireplaces. 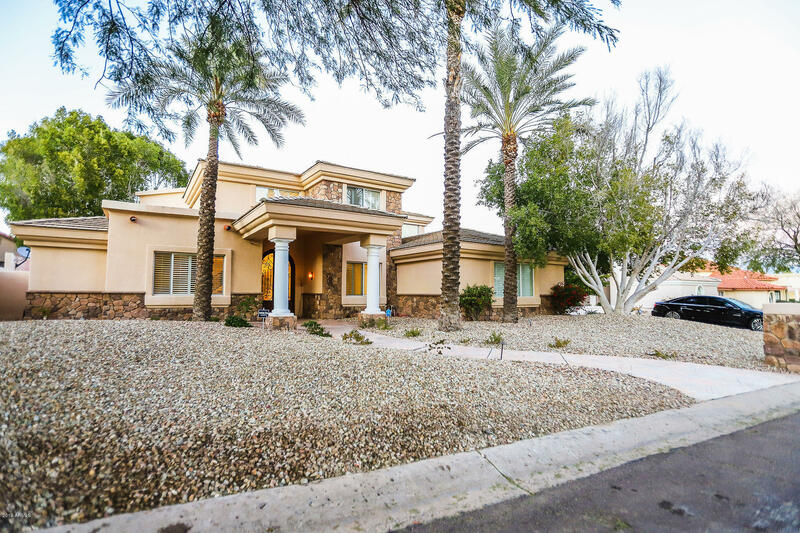 The backyard of the half acre lot has a free form pool with rock waterfalls and a jacuzzi with stunning views of South Mountain as well as direct access to the South Mountain Preserve for hiking and biking. The Old World design of the home continues throughout the interior with 10 foot wrought iron and gl"
"This gorgeous custom estate tucked into a private cul-de-sac serves as your own vacation retreat! The grand foyer w/ 24' ceilings & le picture windows that frame the resort-like backyard complete w/sport court for basketball, tennis & volleyball & dusk to dawn exterior lighting. Just shy of 6,000 sq ft (700 of which are dedicated to the separate guest house). The spacious kitchen has 2 convection ovens & newly refinished cabinets.The master bath has steam dual head shower, his & her dressing rm"
"Surrounded by stunning views of the prestigious South Mountain Preserve, this elegant Ahwatukee Custom Estates home, with its majestic curb appeal and breathtaking entry, offers a functional and versatile floor plan, with formal living room and dining room, open eat-in kitchen with soaring ceilings in the over-sized family room that is perfect for entertaining."